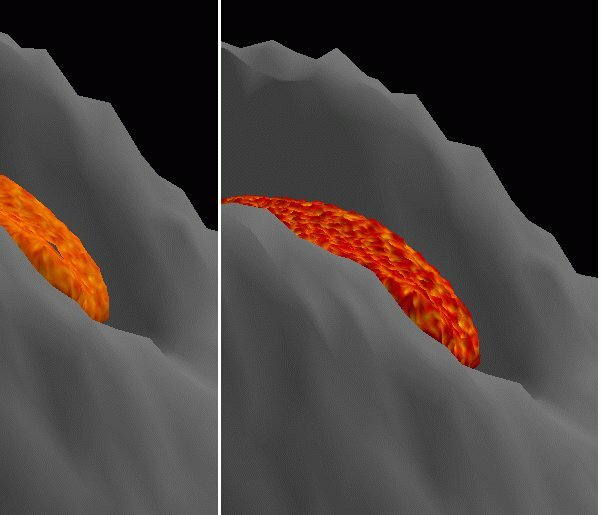 Abstract : Animating lava flowing down the slopes of a volcano brings several challenges: modeling the mechanical features of lava and how they evolve over time depending on temperature; computing, in a reasonable time, the interactions inside the flow, and between the flow and a complex terrain data-base; and lastly, rendering the visual aspect of the flow. The methods described rely on smoothed particles governed by a state equation for animating the flow. 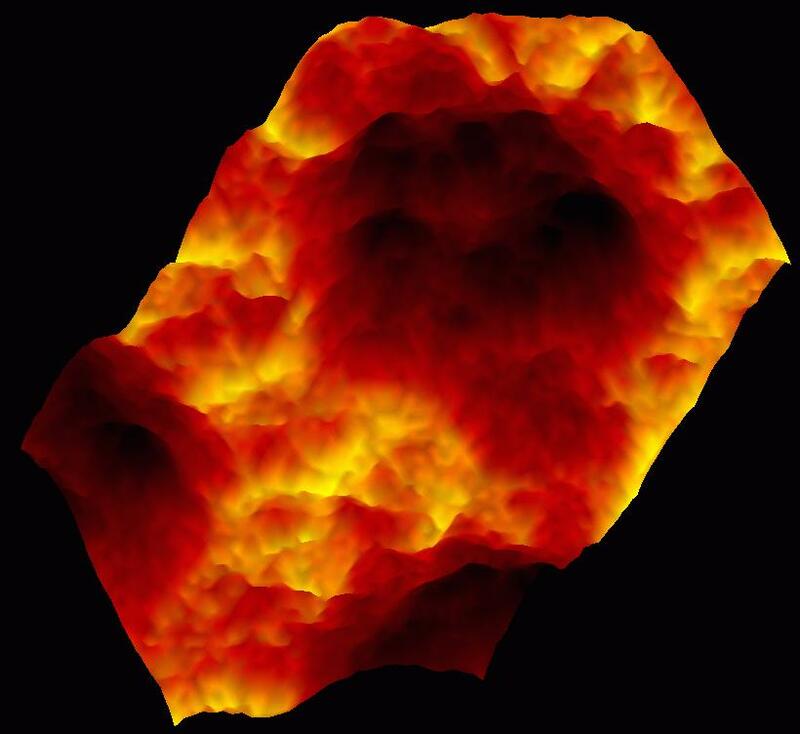 We adapt this model to the animation of lava by linking viscosity to a temperature field and by simulating heat transfers. We propose particular data-structures that lead to linear computational time with respect to the number of particles. 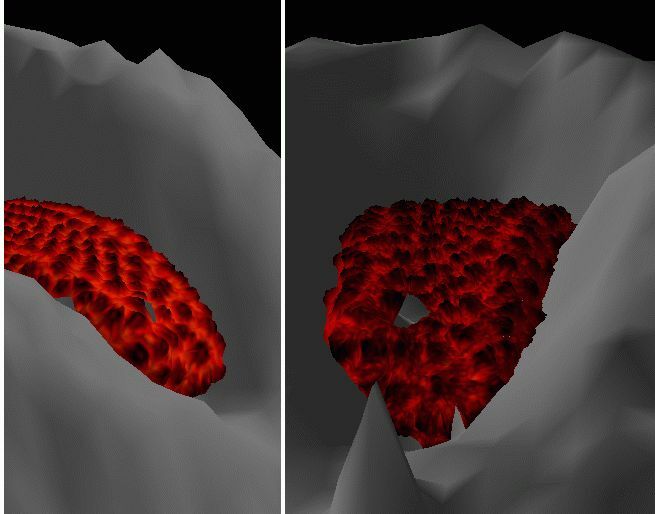 Lastly, we study a model based on a color-and-displacement procedural texture controlled by the flow for the realistic rendering of lava.